The Saints' addition of tight end Jared Cook nudged Hill (concussion) down the depth chart. Hill (concussion) could be in play for the starting tight end spot entering the 2019 season, Josh Katzenstein of the New Orleans Times-Picayune reports. Hill won't return to Sunday's NFC Championship Game versus the Rams due to a concussion, Nick Underhill of The New Orleans Advocate reports. Analysis: The diagnosis is the result of a legal hit to Hill's helmet at the conclusion of a 24-yard catch and run in the first quarter. 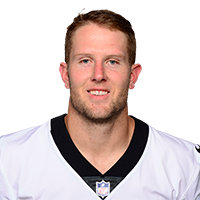 With Hill joining Ben Watson (appendicitis) on the sideline, the Saints' tight end corps has been whittled down to Garrett Griffin and Dan Arnold. Hill went to the locker room during Sunday's NFC Championship Game against the Rams to be evaluated for a head injury, Jeff Duncan of The New Orleans Times-Picayune reports. Analysis: Hill took a legal hit to the helmet at the end of a 24-yard reception in the first quarter, looking dazed as he attempted to get to his feet. If he eventually is diagnosed with a concussion, the Saints will be down their top two tight ends with Ben Watson inactive due to appendicitis. Garrett Griffin and Dan Arnold are the team's remaining healthy options at the position. 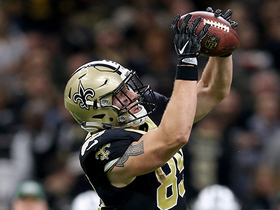 With Ben Watson tending to appendicitis, Hill is slated to be the Saints' top tight end for Sunday's NFC Championship Game versus the Rams, Josh Katzenstein of The New Orleans Times-Picayune reports. Analysis: Per Katherine Terrell of ESPN.com, the Saints have ruled out Watson, who so far has avoided surgery but won't be well enough to play this weekend. Hill regularly logged more snaps on offense than Watson for much of the season, but the former may garner most, if not all, of them Sunday. Still, expect the 28-year-old Hill to yield some snaps to Garrett Griffin and possibly Dan Arnold as a means to keep the corps fresh. 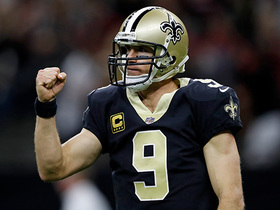 Hill agreed Monday with the Saints on a three-year, $8.85 million contract extension, Field Yates of ESPN reports. Hill caught two passes for 10 yards in Sunday's win against the Rams. 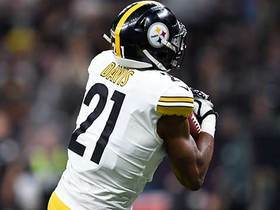 Analysis: Hill again saw more snaps than Ben Watson -- 55 snaps compared to 33 snaps -- but the latter continues to be the preferred option in the passing game, as Watson caught three passes for 62 yards and a touchdown. As a result, Hill remains off the fantasy radar in most leagues. New Orleans Saints quarterback Taysom Hill's deep pass gets picked off by Pittsburgh Steelers safety Sean Davis. 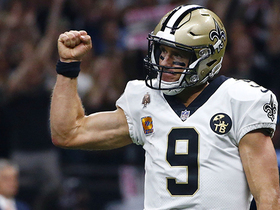 New Orleans quarterback Drew Brees passes former NFL quarterback Brett Favre's throws a touchdown to tight end Josh Hill against the Washington Redskins for Week 5 of the 2018 season. 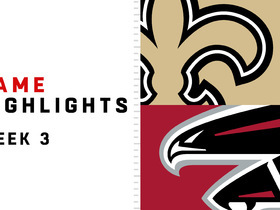 Check out the highlights from the New Orleans Saints vs. Atlanta Falcons Week 3 matchup. 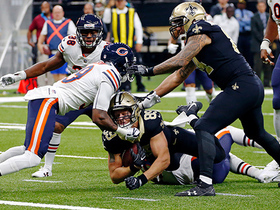 New Orleans Saints quarterback Drew Brees hits tight end Josh Hill with a 22-yard pass. 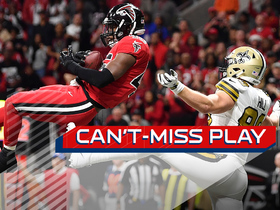 Linebacker Deion Jones makes a game saving interception for the Atlanta Falcons win. 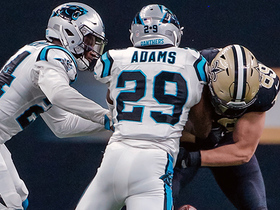 Carolina Panthers safety Mike Adams forces fumble by New Orleans Saints tight end Josh Hill, Carolina Panthers linebacker Luke Kuechly recovers. 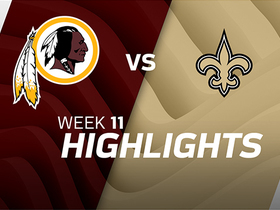 Watch highlights from the Week 11 matchup between the Washington Redskins vs. New Orleans Saints. New Orleans Saints quarterback Drew Brees pump fakes, finds tight end Josh Hill for a touchdown. 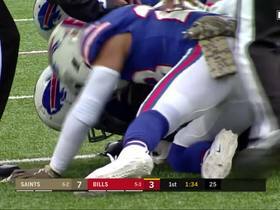 Buffalo Bills linebacker Ramon Humber forces a fumble in the red zone and defensive tackle Kyle Williams recovers for Buffalo. New Orleans Saints quarterback Drew Brees strikes a pass to tight end Josh Hill for 19 yards.